(L-R) Trimantium Growthops CEO Paul Mansfield with chairman Dominique Fisher and managing director Phillip Kingston. 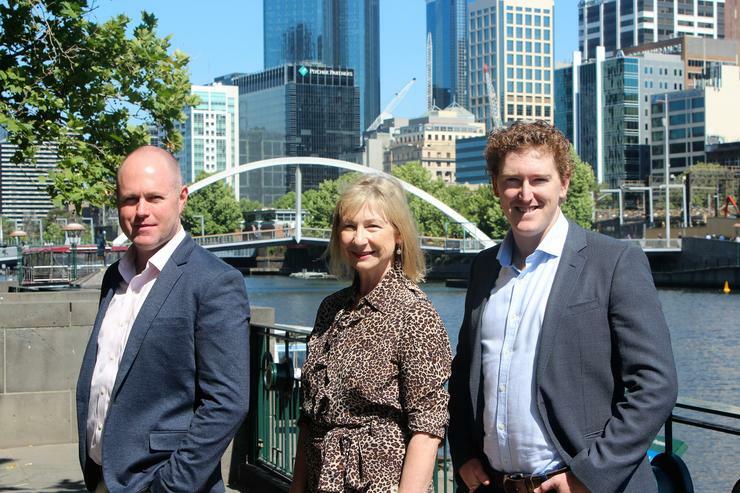 Trimantium Growthops (ASX:TGO), a new IT consulting firm formed by the mega-merger of eight separate companies, has itself a new CEO, with former Cloud Sherpas Asia Pacific managing director Paul Mansfield stepping into the role. Trimantium GrowthOps Limited listed on the Australian Securities Exchange (ASX) on 16 March, with the company valued at approximately $143 million, and an estimated $95 million market cap, following a $70 million initial public offering (IPO). The legacy businesses comprising the new group include enterprise cloud and software solutions provider 3wks, mobile applications developer Jtribe, enterprise IT consulting, cloud and software solutions provider Digital Moshi. The other companies making up the new entity include digital marketing and technology player KDIS, creative agency AJF Partnership, content producer Khemistry, branding and graphic design firm Voodoo Creative, and the Institute of Executive Coaching and Leadership (IECL). In all, the deal saw 15 entrepreneurs merge eight specialist businesses to create the GrowthOps brand, which bills itself as an entrepreneurial advisory and operations partner for organisations seeking to develop new products, services and growth strategies. The services the business provides span technology, including cloud services, software development and systems integration, along with management consulting, advertising and creative. Mansfield, who has been involved with the combined group since at least four months before its public listing, comes to the role with well over a decade in the local tech landscape behind him. After founding local Salesforce partner Weblinc, acting as the company’s CEO from 2008, Mansfield sold the business to cloud consulting and technology services company Cloud Sherpas in 2012, which was itself acquired by Accenture in 2015. Once in the Cloud Sherpas fold, Mansfield held the role as the company’s APAC managing director until 2015, when he worked with Accenture on the company’s integration into its new parent. Mansfield was also part of the executive team that listed QM Technologies on the ASX in late 2005, with the company subsequently sold to Computershare in 2008. Additionally, he is co-founder and board member of Skedulo, a cloud-based scheduling software product business headquartered in San Francisco. In his new role, Mansfield will continue to act as an executive director for Trimantium GrowthOps. As CEO, he will assume responsibility for the day-to-day operations of the company, its people and resources, including responsibility for the company financials, client management, and the mentoring of partners. “I am very pleased to be expanding my role with GrowthOps,” Mansfield said. “Its unique offering across creative, technology and management consulting, combined with our talented and passionate staff, position the company for a bright future. “The team has already shown a tremendous ability to collaborate to deliver growth for the company, and to help our clients grow,” he said.